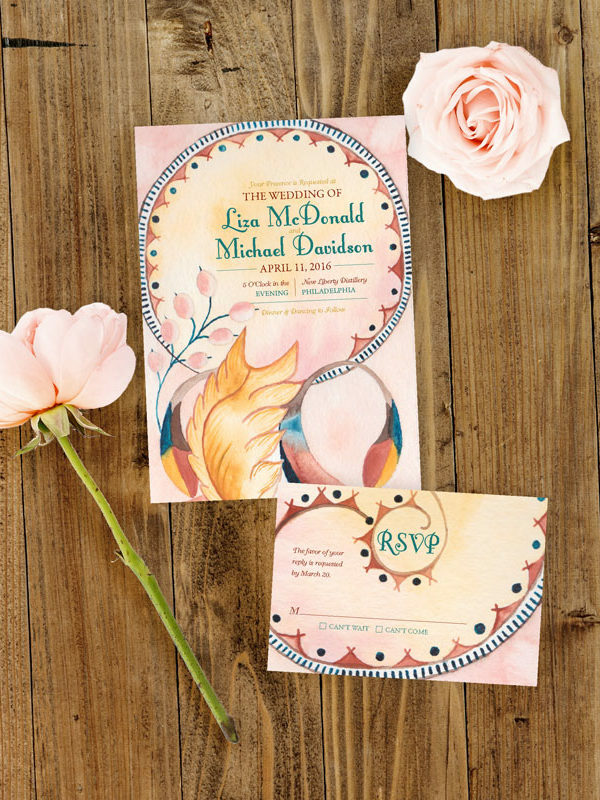 The Begonia invitation holds a special place in my heart because it is the painting that enlightened me to my love of watercolor. 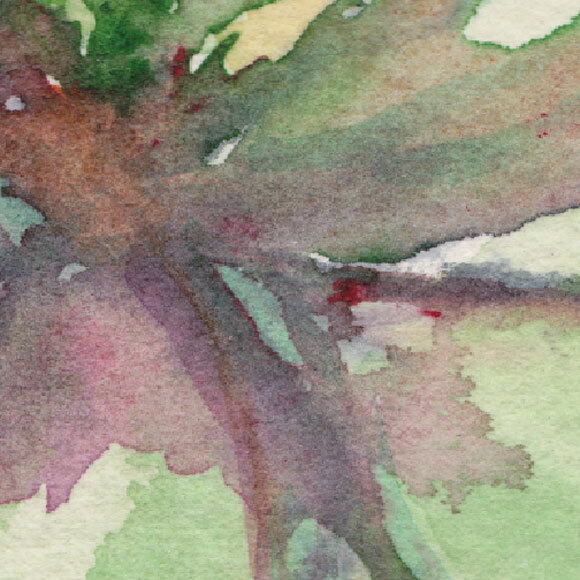 I adore the loose brushstrokes in the leaf and how the contrasting colors (red and green) mix with one another. 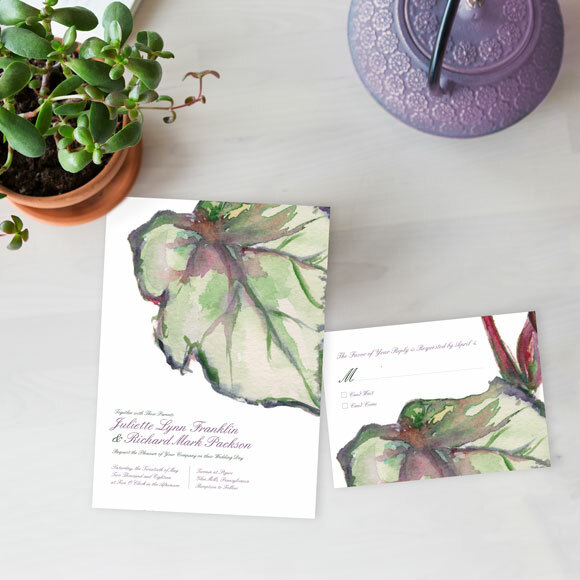 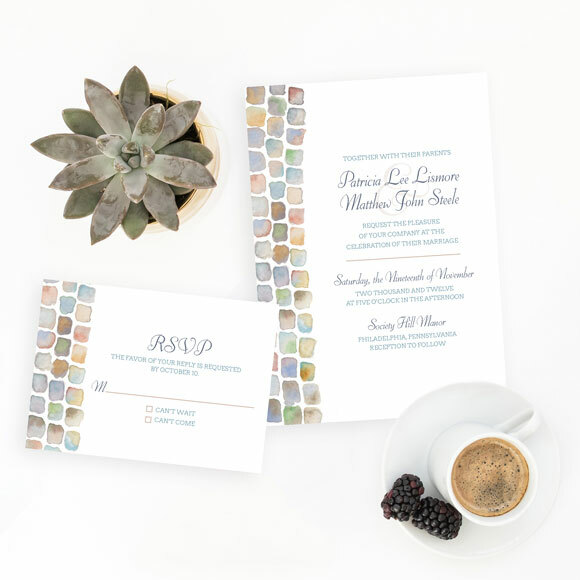 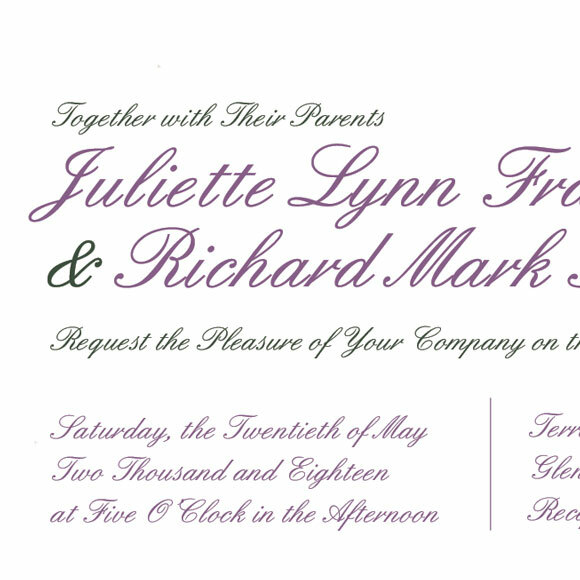 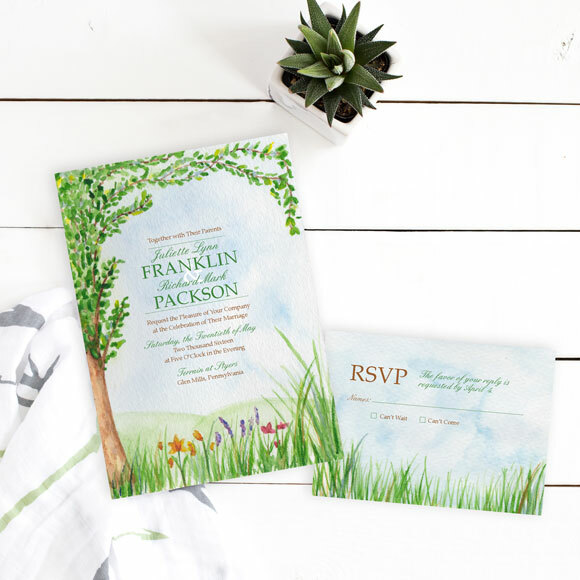 The Begonia Invitation is perfect for a couple who wants to incorporate nature into their wedding look without going in the traditional flower look.